Death… is pretty. 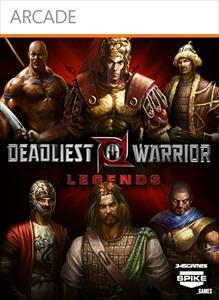 Two words that should not be in the same sentence but accurately describes Deadliest Warrior: Legends. Prepare for BATTLE and hilarious death scenes! With nine playable characters the arcade version consists of nine battles where you battle every legend including the character you chose. You encounter a few challenges in between the nine stages. At this point you are to fight a trainer in hopes of winning new weapons and armor. Once these side missions are completed successfully, the prize weapons are available at the character selection screen. Generals plays out like a limited game of “Risk”. Each player distributes their army to take over surrounding lands. The first general to clear all enemy castles becomes the winner. 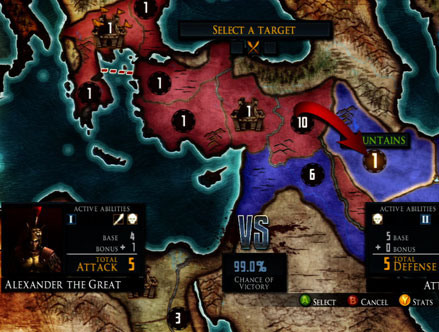 The chance of victory increases by distributing a high amount of soldiers in a specific region. Once a player has decimated an army at a castle, a duel will commence. The duel consists of one round which the winner acquires the castle. Even if you face an army of 100 – though unlikely – the fight comes down to a single duel. Similar to arcade mode, skirmish allows each player to choose four characters. The surviving champion fights the next in line. The most intriguing aspect of this mode is that characters do not heal at the end of each turn. 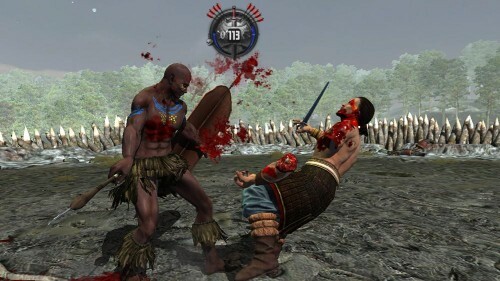 If Shaka Zulu is bloody after defeating Attila the Hun, you bet your arse he’s going to be bloody the next round. The skirmish ensues until a player runs out of characters to sacrifice. 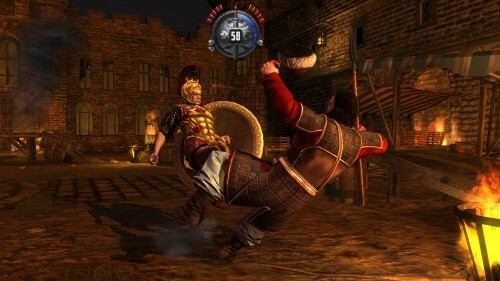 The multiplayer for Deadliest Warrior: Legends can described several ways. For local matches against friends this game can be a total blast to play. Button mash your way to a hilarious time by decapitating heads and other body parts. On the other hand, online battle suffers from long waits and limited player variance. So if by chance you find someone online, you will be playing with the same person for awhile. One aspect I truly love about a battle is that you can be completed covered in blood and none of it will be your own. 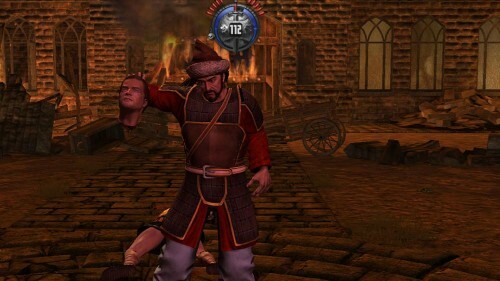 The developers had a lot of fun with the blood and gore as it clearly can be seen in every battle. Some of the audio should have been given more thought. Character voice-overs had its ups and downs. While being hilarious like Wallace’s comment above, the facial animations were not synced fluidly. And have you ever gone to bed watching a movie to wake up and find the annoying intro playing over and over? That is how I felt if I stayed on the main menu for several minutes. Even though the entrance was exciting and boisterous, it easily became repetitive. 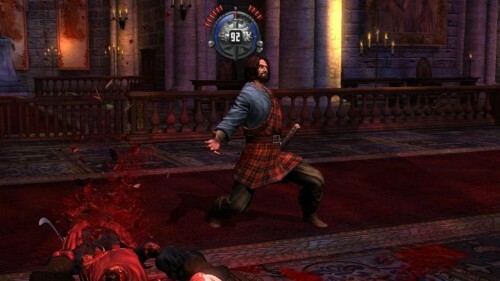 In the end, Deadliest Warrior: Legends delivers a gory mess that can be sorted out is several limbs and other mangled parts. The graphics are beautiful and yet leave the player with unfulfilled environmental interactions. 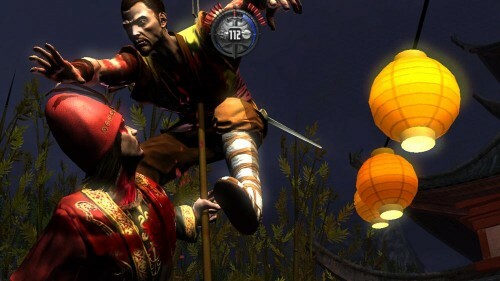 With blood spurting everywhere, the fun factor remains and extends the game’s life. ——————————————————————> For more Xbox 360 news click here!